In a week of tragedy and violence that has sent shock waves across the land, the loss of beloved rock ‘n’ roll artist, Tom Petty, has created a place of cultural grief that can only compare to the passing of John Lennon nearly four decades ago, when Tom Petty and the Heartbreakers were hitting their stride. Petty, who died on October 2nd, is in the company of a handful of veteran rock artists including Paul McCartney, Bruce Springsteen and the E-Street Band, the Rolling Stones, Van Morrison and Neil Young, who are still creatively active in defiance of the sunset that is slowly coming on. They are re-writing the rules of rock stars into enduring, energized and vital artists who keep their creative fire and integrity for a life time. The tired old cliché of self-destruction fostered by the early deaths of Janis Joplin, Jimi Hendrix and Jim Morrison at the close of the 1960s, has been blown asunder by the 40-year run of Tom Petty and the Heartbreakers. 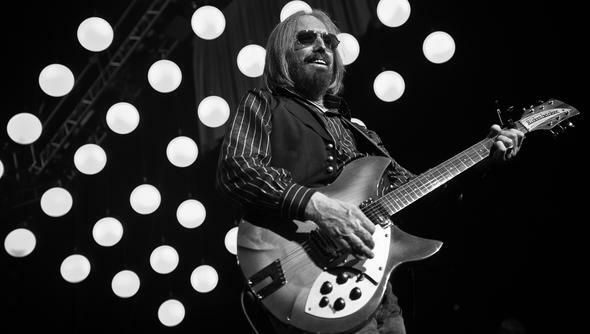 When Petty played his last three shows, after a grueling, but celebratory 52-city tour, his final note was one of gratitude, joy and an authentic love that only comes when a career and life has been devoted to a commitment of uncompromising music. Defying his 66 years of life, he performed like a man half his age. Petty has helped create a new template for the aging of a rock star. 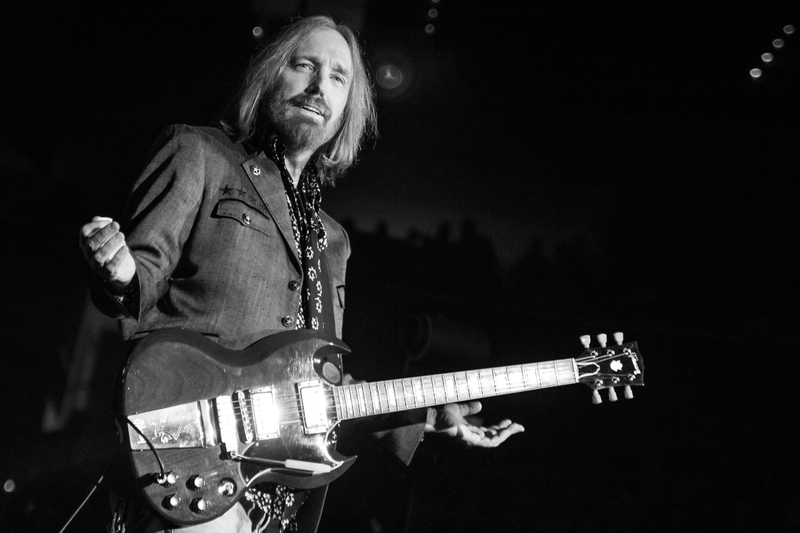 If Neil Young said it was “better to burn out than to fade away,” Tom Petty did neither. Rather, he triumphed and brought his fans along with him for the flight of their lives. In one song he said, ‘I’m learning to fly.’ His final shows at the Hollywood Bowl, showed his wings were strong, even as his physical heart had grown unnoticeably weak. Coming to the end of a career and legacy that began in 1977, Petty and his band were not even close to artistic exhaustion. In his most recent interviews, he was ready to go to work into his fifth decade in music. For Tom Petty, it was his lifeblood. 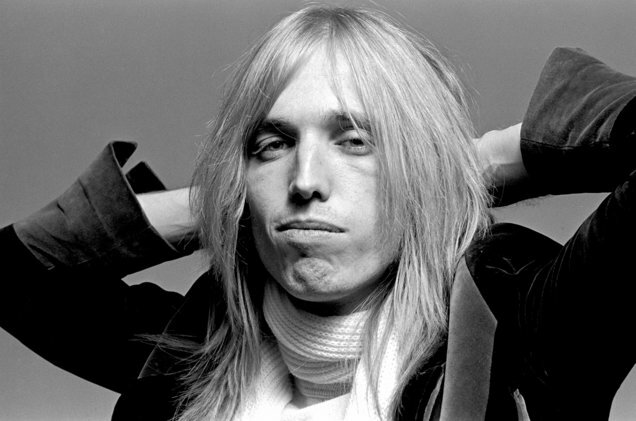 While some rock stars slow down when they have passed age 65, content with a country-club lifestyle, Petty was planning to write songs and spend time in the studio helping other musicians. His most recent project was ex-Byrd/Desert Rose Band’s, Chris Hillman’s solo album, Bidding My Time. From the time he gave up his childhood love for cowboys after meeting Elvis, Petty was raised on pure rock ‘n’ roll in the tradition of Chuck Berry, Buddy Holly, the Beatles and the Rolling Stones. As a music fan, he dug deep in to the earth of the Delta blues, the deep southern soul of the Memphis Stax and British and American rock of the ’60s. As he grew into an artist in his own right, he never strayed from his heart-felt influences. Listening to his music it’s easy to find the stylistic paths that led to his original style. They include Bob Dylan, the Beatles, the Animals, the Byrds, Van Morrison, and Buffalo Springfield. But, he broke out of the mold of an imitator re-inventing his influences into his own timeless form of rock ‘n’ roll. He would soon find himself a peer and friend of his heroes. The music of Tom Petty and the Heartbreakers would influence those who influenced him. So, it was natural in the ‘80s, to find him in a high-powered garage band, The Traveling Wilburys, with his heroes, Bob Dylan, Jeff Lynne, George Harrison, Roy Orbison and Jim Keltner. From his early days in Gainesville, Fla., he built on the influence of the music and artists he loved. Ironically, his breakthrough came during the new wave and punk movements of the late ‘70s. But, he was not one of these. He eschewed new wave with its often cold, glossy veneer and he couldn’t relate to the nihilistic anger of punk. So rather than rejecting rock ‘n’ roll’s best progressions, he drew a continuous line from the legends of the 50’s and 60’s. Petty built on the rock ‘n’ roll from his youth and carried it forward to something new. He re-energized rock ‘n’ roll traditions and gave the music a new breath of life. In that sense he was a ‘new wave’ of his own making. He was about much more than ‘three-chords and the truth.’ He was about finding the heart of the music he played and centering his songs there without compromise. He found the ingredients of great American music and injected it with all the passion of a young garage rocker. After the slow break out of his first two albums, the band was poised toward great success. The industry knew it. He was the first rock artist to break the back of the cooperate music world when his label tried to back him into a corner and take (steal) his publishing. He changed the rules, challenging the publishing agreement and the he filed an unprecedented Chapter 11 bankruptcy, that allowed him to start a fresh and retain many of his publishing rights. Then, with more control and the help of a subsidiary label (Backstreet), he released the groundbreaking, Damn the Torpedoes. From that point, Tom Petty became equal to the best music rock ‘n’ roll had ever produced, from Elvis to the Beatles, it was an album that innovated as it drew from the best sensibilities of rock’s traditions. Tom Petty and the Heartbreakers had come of age.